My heart has been reaching beyond my physical capacities lately. Every time my husband comes home for lunch, I'm telling him about a non-profit venture I want to start, a child at school I feel compelled to take under my wing, or a dear friend who I desperately need to visit. My husband and I are on the same page as far as how we want to spend our lives. We know our time, energies, and talents weren't meant just for us, and we're willing to do whatever we can to serve God for as many years as we're permitted to stay here (though Eric's determined to cap out at 85, and I keep pushing for 100). Although our hearts are in the right place, we can't do everything we'd like to do in one lifetime, and right now we have four little children who need us, bills to pay, and lots of responsibilities (you know the drill). So today I was asking the Lord, "How can I be more helpful?" And the thought came to my mind that I could share how I receive peace, comfort, and knowledge from the True Source. I can't be everywhere at once, but the Spirit of the Lord can, and that's actually a much better deal because God is the one who knows each of us personally, who has all power, and who knows "how to succor His people in their afflictions." I don't have a doctorate in Theology, and I don't have "credentials" to teach the things of God, but I know Him. I make it a point to connect with Him on a daily basis, and I hear His voice regularly. I've felt timid about putting the sacred things of my heart on this blog (so there's a lot I won't say), but I hope the ideas that I'll share here from time to time will be helpful. If you're having a tough time right now with anything in your life (which is highly likely, since all of us have struggles), the first thing you need to know is that you have a Father in Heaven who is aware of you. He created you, He loves you, and He is available to help you receive all the blessings you need. For today's post, I'm going to describe the process I go through to receive the answers to all my questions. The word "all" isn't an understatement--I'll describe that more later. The fact is that I am just not smart enough to know how to handle all the challenges and opportunities that come my way. I have a family who deals with "real-life" issues. I'm in the process of building a world-wide organization for mothers that literally has the potential to change the world. I am often placed in circumstances where I become painfully aware of my weaknesses. Sometimes it's enough to send me back to bed before we've even gotten through breakfast. However, this is where the Lord comes in. I know that He's willing to teach me everything I need to know, but I have to ask the right questions first. I decided to write down all my questions in a Google Doc. That way, they're password-protected, they're available from any computer, and I can easily record the answers that I receive to those questions. If you'd like to start your first Google Doc, you just create a Google account and follow the simple instructions here. This is a screen shot of my Google Docs Homepage. Highlighted in the middle are "My Questions." How do I get more physical energy so I am not always exhausted by my children? How can I better learn which questions to ask? How can I increase the power of my prayers? 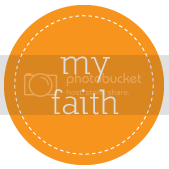 How can I be a better example of faith in Jesus Christ? How can I learn the mysteries of the scriptures and better learn to teach through them? What is the best way for me to record all I am learning/writing/doing? How can my husband and I truly become one in all things? Who, specifically, do I need to bless and love that is within my sphere of influence? What do I need to do to refine the time that I spend each day? How can I help my children to know they're "winners" without simply teaching them the goal is to be better than everyone else? What can I do about __________ (a current problem that is perplexing me)? Right now I have about 40 questions, and what I do is take one question each week or so and study that topic during my morning scripture study. I read scriptures related to that topic, study the words of those who already know the answers to these kinds of things, and then pray to the Lord for inspiration. My church's website has a great search function that brings up all kinds of wonderful material. Then I type the answers below the questions (in green, so the answers can clearly be differentiated from the questions). When I first typed out my questions, they all felt overwhelming. I remember initially looking at my list and thinking, "How can I ever know all this?" But then something interesting started happening. Each day as I would study and pray, I would receive a little more light. Sometimes I had to study the same question several times before the answer started to make sense. Sometimes the answer would come clearly and powerfully the first time I studied the topic, and I would have tears running down my cheeks as I typed the answers that I felt coming straight to my mind and heart. The point is that I have received answers to every single question. Now when I add a question to my list, I have full confidence that it will be answered---and that's an amazing feeling. The answers do not always come the way I expect or the way I would like, but they're answered fully enough that I know that God is communicating to me in a way that I can understand and apply. There are so many wonderful things that each of us can do while we're here. I don't want to waste my time feeling sorry for myself or frustrated with my inadequacies or distracted by things that don't really matter. I want to pay close attention to what's happening around me, I want to ask God for wisdom, and I want to do whatever I can to serve Him. At The Power of Moms, we end each article with a challenge, and I think I'll do the same here. Take some time this week and write down your questions. Don't hold back--put them all in there. And then start with the hardest--or the easiest--and let God show you that He knows you, loves you, and wants to take very, very good care of you. but in the middle of all this organization, writing, website work, and housework, I've got to enjoy what I have around me. 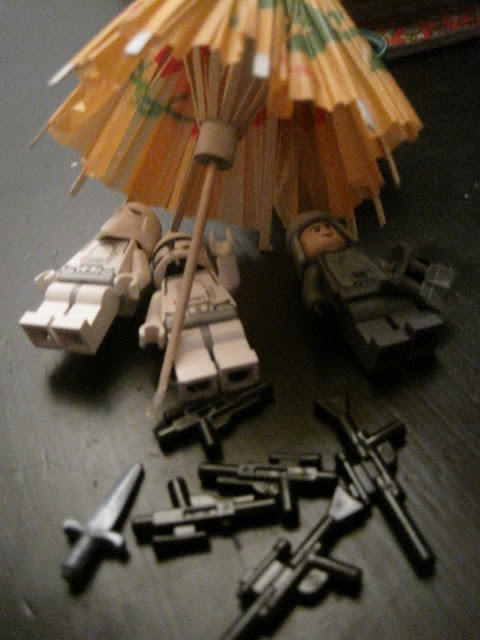 Part of this means that I need to find the fun in everyday situations--like when I see Storm Troopers napping under a little parasol (with their weapons handy, of course). Another part of having fun means I need to get outside my house and enjoy time with the people I love most (I'm a good worker, but not such a good relaxer). When we lived in Boston, we'd get bundled up and go ride the subway into the downtown area or visit one of the thousands of museums in the area. We don't have many museums within an hour's drive, but we do have beaches, so a few weeks ago, we found this great bike shop in Newport and went about selecting some rentals for the day. I don't know why I forget to incorporate more fun into my life. Maybe it's because I really do enjoy my work, and I don't notice that I'm not getting enough fresh air and downtime. Maybe it's because I feel guilty when I'm not being "productive." Or maybe it's because I forget that having a good time with your loved ones is being productive. It also might be because for the past five years, I've had some pretty bad health problems, and I spent many, many Saturdays in bed. This is the first year I have felt really healthy in my entire married life, and I can't even begin to explain the difference. 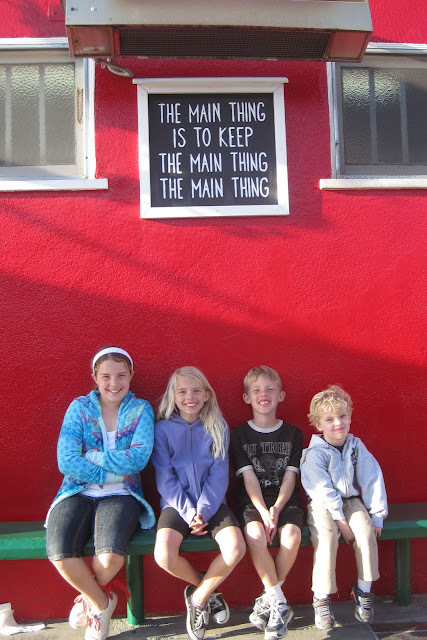 These little children (and my husband) are "the main thing" to me. My task list will always be full. There will always be laundry to do and emails to answer and projects to tackle, but these children are growing up way too fast, and I never want them to wonder if they mattered to me more than anything else in the world. Would you mind sharing some fun, simple ways that you enjoy time together as a family? Professional development. Meaningful management. Innovative ideas. This is not a training meeting in a corporation boardroom; this is PowerofMoms.com, a "professional organization for deliberate mothers striving to be the moms and women they really want to be." Founders Saren Eyre Loosli and April Perry could not find any websites designed to help mothers connect with and learn from one another in an effort to share the joy of motherhood. 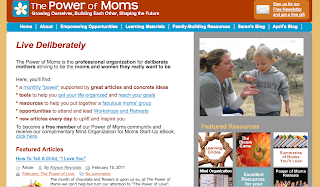 So they joined forces to produce PowerofMoms.com and now have 20 moms on board, and more than 150 women who have written articles for the website. "Each one has her own story as to why she wanted to get involved," Perry said. "But the best part is seeing how The Power of Moms is empowering sharp, talented women to contribute to a cause that strengthens families worldwide." 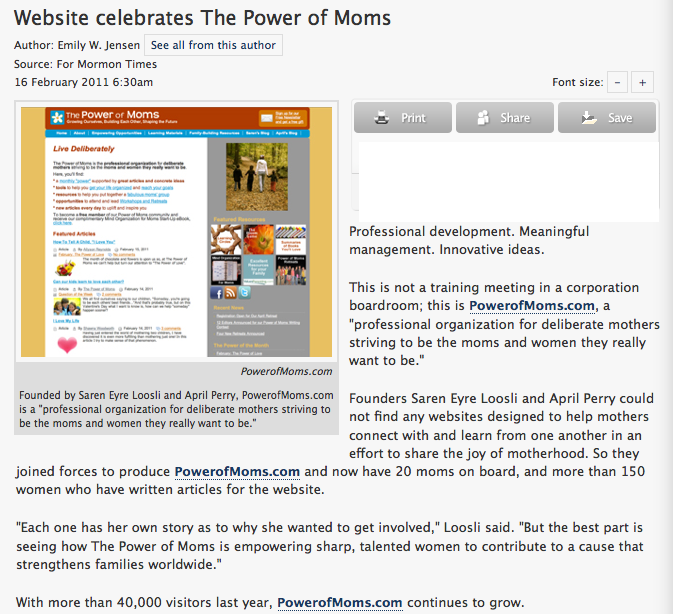 With more than 40,000 visitors last year, PowerofMoms.com continues to grow. "We attract women who are serious about mothering and who want to grow their own abilities and talents through and during the experience of motherhood," Loosli said. "We've got a very diverse audience of mothers. We've got moms from 134 different countries, including moms who work outside their homes and stay-at-home moms, moms with plenty of money and moms with none, moms with several degrees from fancy universities and moms with valuable degrees from various schools of life experiences, moms with preschoolers through moms with teenagers." And to help these mothers, PowerofMoms.com offers tabs with tools of "Empowering Opportunities," "Learning Materials" and "Family-Building Resources." Within these, one finds the monthly theme and accompanying articles, the Power of Moms Podcast, book suggestions and instructions for forming a "Learning Circle." According to Loosli, this creates "meaningful mothers groups that meet monthly to discuss great articles on specific aspects of motherhood." 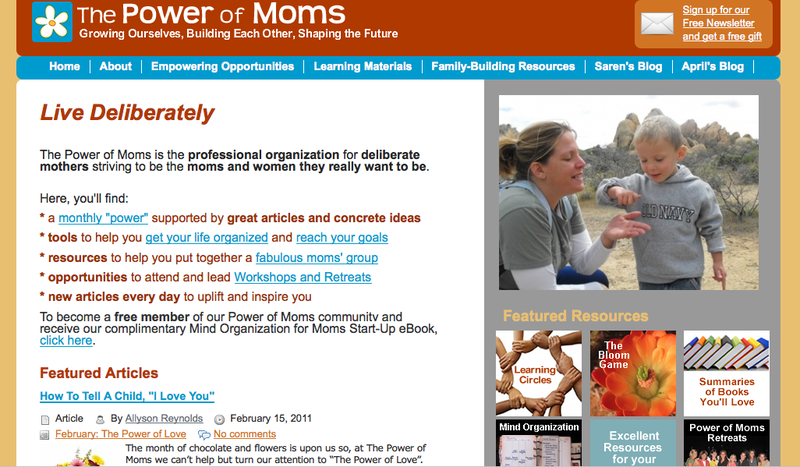 PowerofMoms.com also has resources to "help moms do some self assessment and set and track meaningful goals through our Bloom Program," Loosli said. "And last, but not least, we put on life-changing weekend retreats and workshops to help moms learn from each other and leave armed with tried-and-true ideas to make their motherhood experience what they want it to be and help their families reach their potential." And they are seeing results. Perry received an e-mail from a single mother "who was seriously depressed about raising her 3-year-old. She was convinced that she was going to mess him up, and she didn't know how to handle her frustrations." 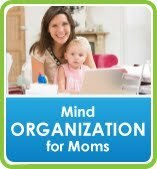 But about six months after beginning to read articles on PowerofMoms.com and starting a Learning Circle support system, this mother e-mailed again to say, "I can do this! I am actually becoming a better mother now!" 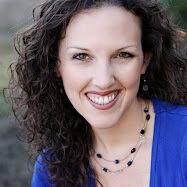 In addition to PowerofMoms.com, Loosli and Perry plan to soon launch a new website called "The Power of Families" that will offer parenting programs and resources. Perry described how she feels "so much joy and purpose as I care for the people I love most" by sharing this with other mothers through PowerofMoms.com. "Our overall vision is to offer moms around the world the chance to network with other moms who share their same values, motivations, hopes and dreams," Loosli said. "We want to help moms grow through motherhood, not just go through motherhood." Perry added, "We want mothers to understand that they don't need to feel depressed, lonely or frustrated — they can come join a community that can help them to thrive." To see the published article, click HERE. When my husband and I were dating, it was so easy to be romantic. We'd write little love notes to each other, hold hands while we studied in the library, make dinner together, and enjoy long, uninterrupted conversations while we picnicked under a tree or took long drives through a nearby canyon. Over the past twelve years, we've grown deeper in love as we built our family, moved nine times, worked through thousands of life challenges, and spent hundreds of Saturday mornings making the family's favorite omelet recipe together. But now whenever we even get close to gazing into each other's eyes, we hear someone yell, "I need help in the bathroom!" or "What's seven times three?" or "So and so just used a mean voice!" Creating a marriage that leaves you feeling twitterpated at the end of each day doesn't happen automatically--especially when you have children, but here are seven ideas that have helped me to savor the opportunity I have to live with my Prince Charming (and then I desperately need advice on how to keep romance alive during the teenage years because I have about 23 months until that becomes my reality). (1) Cut out as many extracurricular activities as possible. This might seem totally unrelated, but running ourselves ragged all day isn't going to leave us in a loving mood. When I feel tempted to sign my children up for seven new classes in our community, I stop and ask, "Would my children prefer to have stellar athletic skills or parents with a strong marriage?" Some moms can handle a busy schedule better than I can, but if something's got to give, it's not going to be my marriage. For more inspiration on this, read the book Momfidence by Paula Spencer. (2) Take a nap. My husband gets a little smirk on his face when I tell him that I'm taking a nap for him, but it's the honest truth (okay, I'm also taking a nap for me, but it's mostly for him). When I'm well-rested, I have more energy to devote to our marriage--or at least I won't be an emotional wreck by the time the children are tucked in bed. Even a quick nap in a car during a lunch break can do wonders. Read Mommy's Naptime 101 for more ideas. (3) Protect "Mommy-Daddy-After-Dinner Time." No matter how busy our schedule, I often find there's a 15-minute lull after dinner before the evening's activities begin. This is when mom and dad get to snuggle on the couch and talk about their day while the children sit closely or play quietly. I read this years ago in the book Babywise, and it's stuck with me. Why would we want to create a home that is child-centered? It needs to be family-centered, and that means mom and dad deserve some time together. When my husband and I are able to connect each day--really connect--the entire family benefits. (4) Early bedtimes for the kids. I know my views on this are a little odd, but hear me out. When children are in bed early, parents have more time together, and you end up with well-rested children. When I had three preschoolers, I'd bathe them at 4 pm, dress them in their pajamas, and then feed them dinner when my husband got home around 5:30 (minimizing messy dinners like spaghetti). Then it was easy to tuck everyone in bed at 6:30 (with a basket full of books and a nightlight clamped to their bed) and have "lights out" by 7. People give me a hard time about this, but seriously, when I'm relaxing on the couch at 7:15, snuggling with my husband, that's a nice feeling. We've pushed back the bedtimes now that our oldest is 11, but I still have a "mommy shut down time" inspired by Parenting with Love and Logic. If my children want to stay up a bit, that's fine, but I'm off duty. (5) Focus on all the reasons you appreciate each other. I won't pretend that there aren't hundreds of distractions working against us in the romance department, but we can't let them completely take over our lives. Today I need to repair the brakes on our van, reorganize the website content for The Power of Moms, return our library books, host a play group, and complete dozens of other tasks (just like you . . . I know I'm not alone here), but in the midst of all that, I can think about why I love my husband, and I can let him know I love him. A quick text message saying, "Thanks for buying me flowers this week" or "I think you're very handsome" can go a long way. One day he wrote love messages all over our bathroom mirror with dry erase markers, and I loved it. (6) Dance to love songs as a family while you tidy the house together. I don't know what it is, but as soon as we turn on a song like "The Promise" by When in Rome, we are overflowing with happy feelings. Sometimes when we're doing our evening clean-up, we'll crank up the love songs, and my husband and I will start ballroom dancing and stealing kisses in the kitchen. Our children pretend to be annoyed and often say things like, "Not in front of us!" or "Eww, that's gross," but we know it's good for them to see us in love. (7) Make your date night a priority. I did an informal poll of my friends as to how they keep romance alive while raising a family, and across the board, date night was a must. Just because we're married doesn't mean the courtship is over. If you can swing it, go on a vacation without the children, but even if a vacation isn't feasible or finances are tight, dating doesn't have to be complicated. One friend told me about a couple who would go to the market and buy a half gallon of ice cream. Then they would just sit and talk in the car (trying not to talk about the children the whole time). My friend JoEllen told me that her husband Mark will help get the babysitter and then help out with the Saturday jobs so they have the time to date and it won't be a hassle for her. Another friend reminded me that "a babysitter is cheaper than a divorce lawyer." When my husband was in school, there were lots of families with young children in our apartment complex, but zero teenagers or grandparents who could babysit. We set up a swap where one Friday night a month, we would watch nine children, and then we had three Fridays to go out on dates. Those were some busy years, but I know the reason we're so in love today is because we have consistently made time for each other. However you decide to do it, growing a great marriage requires creativity, work, and dedication, but when your marriage isfull of love and romance, there's no doubt that it's absolutely worth the effort. CHALLENGE: Pick one thing you can do this month to make your relationship great. Our Power of Moms Retreats have been some of the best experiences of my life, and April 16th, we'll be holding one in Salt Lake City, Utah. Come join us! As we researched a variety of locations for this Retreat, Saren mentioned that her parents had invited us to hold it at their home near Park City, and I was absolutely thrilled with the idea. I said, "Saren, hanging out at your parents' house might not be that big of a deal to you, but for the rest of us, it's the chance of the lifetime!" 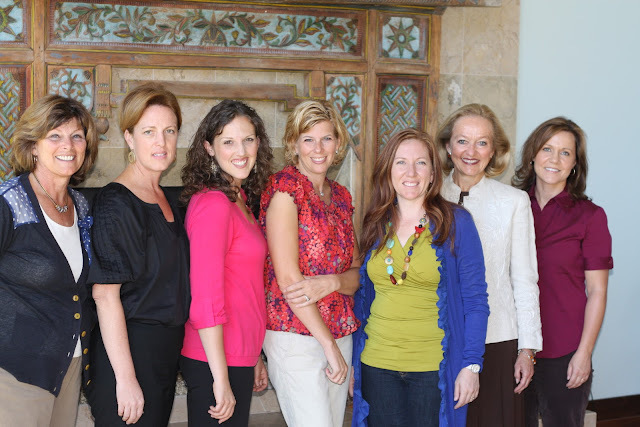 We held our Power of Moms Advisory Board meeting at the Eyre home in September, and my time there was magical. 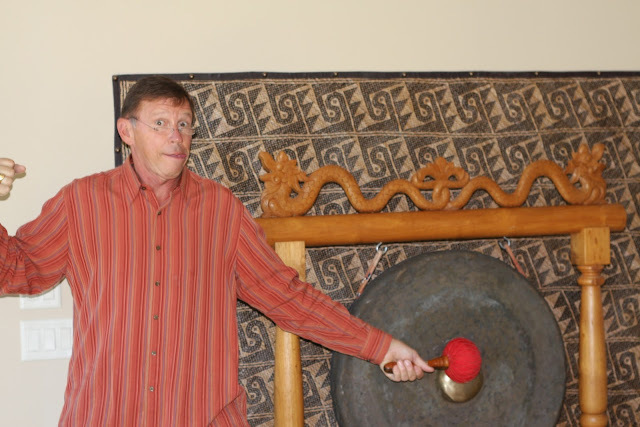 They even have a gong set up, and if we're lucky, I bet Richard Eyre will ring it for us as we begin each session. 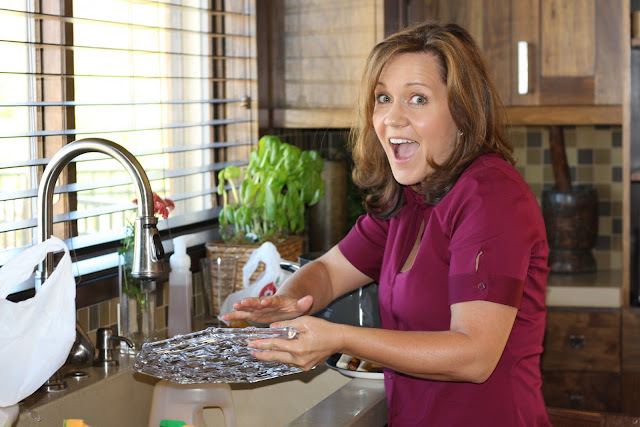 Even washing dishes is fun at the Eyre house. Doesn't Allyson look like she's having a blast? I love the Eyre family--not because they have a corner on the "good family" market (I adore my own family, as well, and I'm sure you adore yours), but because their experiences writing books, teaching families, traveling the world, and building their own family is nothing less than inspiring. When I was a new mom, Richard and Linda Eyre's books provided the practical, down-to-earth advice I needed to help me see the beauty, purpose, and fun of motherhood. I feel incredibly blessed to be a part of this Retreat, and I would love to see you there! Grace made my week when she showed me a poem she wrote called "Love is . . . ."
Love is brushing our hair every morning, every day. Love is having a child sleep in your bed when one has a nightmare. Love is tucking us in and reading us books at night. Love is helping 4 kids with homework when trying to make dinner. Love is hearing "mom" every 5 seconds without complaining. Love is taking me to soccer every Tuesday and trying to take care of a three year old boy. Love is letting the girls put on makeup when they're sick. This meant so much to me because when I'm in the middle of doing all these things, I wonder if my children even notice. Obviously, they do. Love is giving your mom a foot massage at night when she's been working hard all day. Love is vacuuming and polishing the van while mom takes a nap (they did that today!). Love is reading books to Spencer when he's in "tantrum mode." Love is making dozens of cards every month that say, "I love you." Love is being patient when mom is about to lose her mind. Love is being obedient--even when mom's not looking. Love is butterfly kisses at night. Love is promising you'll always be your mom's best friend--no matter what--forever. And then the next day it all went downhill . . . Yesterday was a good day. I felt energetic and optimistic, and we had fabulous (if not sometimes crazy) family experiences. It's helpful for me to chronicle the things that work because the idea is to "make things work" as often as possible. However, I know how things go with blogs, and I don't want anyone to think that I "have it all together" or that every day works out perfectly around here. My cute friend Susan referred to me as "superwoman" the other day, and I had to cringe because I am NOT superwoman in any sense of the word, and I feel terrible if anyone gets that impression. It just means I'm not communicating clearly enough. About half of our family is feeling sick today--some weird stomach bug/headache/dizzy kind of thing. So Grace is home from school, and we didn't give each other kisses after our family prayer because we don't want to spread any germs, and we're all a little bit cranky. All right, and now that I'm trying to list all the things that are going wrong, I'm realizing that my hormone/not feeling well-self is the main problem, and everything else will work itself out. I think I'll stop making this list and go take a little rest on the couch. Part of me wants to give up on blogging (but of course, I can't make any real decisions when my hormones are out of whack). There are lots of pros and cons to it: I like to share ideas that empower and excite me. I like being connected with friends and letting people see into my heart (because having heart-to-heart conversations with anyone besides my husband is a rarity nowadays). On the flip side, I don't like worrying that what I say might come across wrong, and I don't like the fact that a blog can't possibly represent an accurate portrayal of a person's life. I worry that perhaps this isn't the best use of time. I'll keep thinking about it, but in the meantime, please know that like you, I'm doing the best I can, and like you, I'm struggling every day. And if you have any suggestions or thoughts or ideas to share with me, I'd love to hear them. As much as I love writing for websites and blogs, sometimes life just gets so busy that I need to "live my life, not blog my life," as we discussed at one of our Power of Moms Retreats. 12:05 a.m. (I know, WAY too late): Finally got in bed after a long, but good day. Eric and I had a late-night Skype phone call with Saren and Jared, our wonderful partners on The Power of Moms. We're transferring to a brand new website platform and starting our affiliate program, so there was a lot to discuss, but it was fun to get on the same page and have some time with them. 5:40 a.m. Woke up to Spencer screaming at Ethan, the way he does every single morning between 5:15 and 5:45. Eric was kind enough to take care of things downstairs so I could sleep in a bit. 6:30 a.m. Finally got out of bed, but made sure to take time for personal prayer. David A. Bednar gave a beautiful talk about prayer in October of 2008, and I love the idea that morning prayer is when you "spiritually create" your day with the help of the Lord. Before School: Helped make lunches, brushed everyone's hair, hugged my children, put a load of laundry in the dryer (that I forgot about last night), and got all of us dressed in our 100-Mile Club t-shirts. Eric gathered us all around for family prayer, and then afterward, we all gave each other kisses. At School: Went running/walking at our elementary school's 100 Mile Club. It is one of the best things I've ever seen a PTA do. Students and their families get to run laps and earn a popsicle stick for each lap. Then we earn one mile for every four sticks, and as you accrue 25, 50, 75, and 100 miles, you get to check off a little chart on the back of your t-shirt. Spencer (age 3) prays every morning that we can go to the 100 Mile Club. There are several moms who come every single time to pass out sticks, and I so appreciate them. Our children love it, too. Early Morning: Talked with my husband for a little while and hugged him in the kitchen while Spencer ate some oatmeal. Eric consistently reminds me that I am moving my projects forward, even when I feel like I'm spinning my wheels all day. I love him so much. While Spencer played with his toys, I made Eric a little lunch and tried to decorate his sandwich bag with a love note written in permanent marker. Then, since Spencer was still quiet, I took 20 minutes to study my scriptures and prepare a lesson I'm teaching for Relief Society at church on Sunday. It's about Work and Personal Responsibility. The more I studied, the more I could feel the Lord teaching me that the work we do to serve Him is the most important work there is to do. I love having time in the scriptures each day, and I love the feeling I get when I hear Him speaking to me. When I finished studying, I cleaned up the house, took care of Spencer, did some laundry, and continued thinking about the wonderful things I had just learned. I felt like I was floating). Mid-Morning: Dropped Spencer off at Betty's house (thank you, Betty!!) for a few hours. We do a mommy preschool co-op that has been such a blessing. Got to work on my Mind Organization for Moms Weekly Review (because the paperwork just piles up every few days, and it's amazing how much better I feel once I get things organized). Talked with Rebecca at Persnickety Graphics, who is doing a lovely job redesigning our logo and our entire Mind Organization for Moms program. She's fabulous. Then I prepped a podcast I had scheduled with Allyson Reynolds. Late Morning: Recorded a podcast with Allyson Reynolds about "The Power of Love"--our Power of the Month at The Power of Moms. It was so much fun to get to talk with Allyson, and the podcast will be posting this Saturday on The Power of Moms (if all goes as planned). 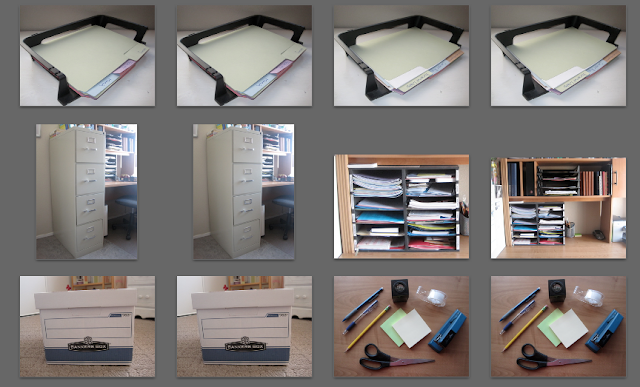 Then I organized my desk and emails and got kind of excited when I saw my guest post on GTD Times. They have a great staff there who I really admire. Lunchtime: Picked up Spencer and taught him how to make peanut butter and honey sandwiches. Then we ate together, and he played with some Playmobil toys while I sent emails out to the 12 Authors of our Power of Moms book, pairing them up to edit each other's chapters. These chapters are beautiful. I keep thinking about them during the day, and the messages are shaping how I feel about my life as a mom. I know this book will change lives. It just takes a LOT of work to get it to publication. Early Afternoon: After recording that podcast with Allyson, I felt so excited to show love to my family that I decided to make a heart-shaped snack for my children to eat when they got home from school. I laid out our heart-shaped plates and put little groups of blueberries, pineapple, and pistachios on the plate--also in heart-shapes. It took about 3 minutes, but they were excited to see it when they got home. Then we had a quiet time/nap time with the whole family. Have I mentioned I love naps? My children are so sweet to respect that quiet time of day, and it makes a huge difference for all of us. Mid-Late Afternoon: We all worked together to juggle laundry, an early dinner, homework, house clean-up, after-school discussions, etc. And then I took Alia to her Activity Days (a bi-monthly afternoon out with her peers and some wonderful ladies who teach them new skills and help them develop their faith in God). The other children accompanied me to the Dollar Store, where we got them some treats and cards for Valentine's Day, and then we zipped off to Grace's soccer practice (we're just doing a simple Soccer Academy for a few weeks, and she loves it). Early Evening: While Grace practiced soccer, Ethan and Spencer skated around the park on their roller skates. I am SO happy to have discovered that when Spencer is on skates, he doesn't run away from me--because he can't move fast enough. If I could keep him in skates all day, I would. For the last 15 minutes, I let Spencer play on the playground with his regular shoes, but then he started running as fast as he could toward the bathrooms (he's recently potty trained), and I had to yell for Grace and Ethan to follow me as I sprinted after him. I chased him into the restroom, helped him take care of things, and then thought on the way out, "How nice that they have urinals in here so when moms take their little boys to the bathroom, the boys have that convenience." Then I thought, "Wait, I haven't seen those in here before." And, of course, I discovered that I was in the men's bathroom at this totally crowded soccer park, and I got a weird look from another mom as I came out. Oh, the fun. Mid-Evening: Ethan worked on his homework and Spencer ate about seven cups of popcorn (I don't know how it all fits in his little body) while Grace, Alia, and I folded laundry and sang Taylor Swift and EFY songs together. Grace wanted to surprise Ethan by folding his laundry for him, so we were very sneaky, and that made Ethan feel happy. Then I tried to type up this blog while Grace quizzed Ethan on his vocabulary words, Alia hard-boiled eggs for her lunch tomorrow, and Spencer threw toy cars all over the living room. That didn't work very well. Late Evening: I tucked Spencer into my bed and read him a new little book he loves called "Little Quack." Then he said, "Seep by me for 30 minutes," and I snuggled with him and said, "You are getting so big!" And he said, "Yes. Big like you." And then we just held each other for a few minutes, and I could practically feel him growing--which makes me quite sad. Then I tucked in Grace by singing our nightly "Baby Mine" song while giving her back tickles (no one else likes those, but she LIVES for them). Ethan was practically asleep when I went in to see him, so I gave him a quick kiss, and he was out. Now Alia is up and we're going to look online and learn more about what's going on in Egypt because I'm so busy in my own little world sometimes, and my heart is hurting for all the people who are suffering there (and in so many other places). It's been a great day, and I don't know who, besides maybe my sisters, would have read this far, but that's a little snippet of my life right now. If you have any fun/helpful ideas for things to include in my daily routine that would bring more joy, more love, more purpose, and more meaning, I would love to hear what works for you, and I am always looking for new ideas.